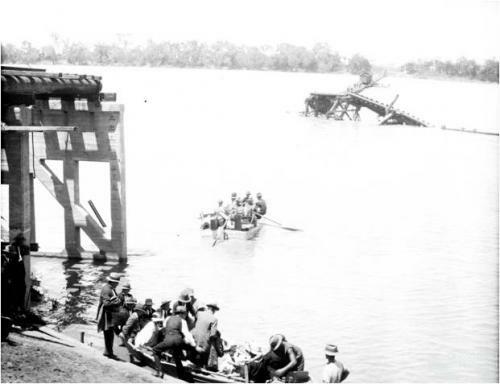 Crossing the Burdekin by boat, 1927. Passengers from a mail train are being rowed out to another train waiting on the Burdekin River Bridge. Photographs of the Brisbane River during the 1893 flood. Collection of Fryer Library, University of Queensland.